JimRogersUnofficialChannel is fan-published. It is not authorized, endorsed, licensed, approved, recommended, published, maintained, edited or managed by James B. Rogers, Jr. or any of his affiliates, agents or representatives (all such persons are referred to as "Jim Rogers" in this disclaimer). JIM ROGERS ACCEPTS NO RESPONSIBILITY OR LIABILITY WHATSOEVER FOR THIS CHANNEL OR ITS CONTENT, INCLUDING ITS ADVERTISEMENTS AND LINKS TO OTHERS' WEBSITES. 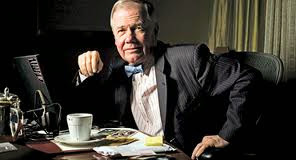 NO ENDORSEMENT OR APPROVAL BY JIM ROGERS OF ANY INDIVIDUALS, GOODS OR SERVICES IS IMPLIED. TEXT, VIDEO AND OTHER CONTENT AVAILABLE ON OR VIA THIS CHANNEL MIGHT MISQUOTE, MISCHARACTERIZE, USE OUT OF CONTEXT, EDIT OR OTHERWISE MISREPRESENT JIM ROGERS' STATEMENTS AND VIEWS. USE AT YOUR OWN RISK. I was re-reading your investment biker and adventure capitalist. I would say it's the best investment education i had so far, skips the jargon and alphabet soup of wall street and remains focused on the most important. I think the problem we are facing is the world and financial world seemingly become too complicated for anybody to understand, looking back on my few years working in an investment bank, I saw a lot of this complexity is unnecessary and totally useless, make people lost sanity and confidence to even try to understand it. people need to be reminded what really matters. I have a Jim Rogers speech/Q&A from an event 2 days ago in Chicago that I want to share with you by email. How do I do it?